Red Hook in Brooklyn, New York is truly a village inside a city with a character all its own. 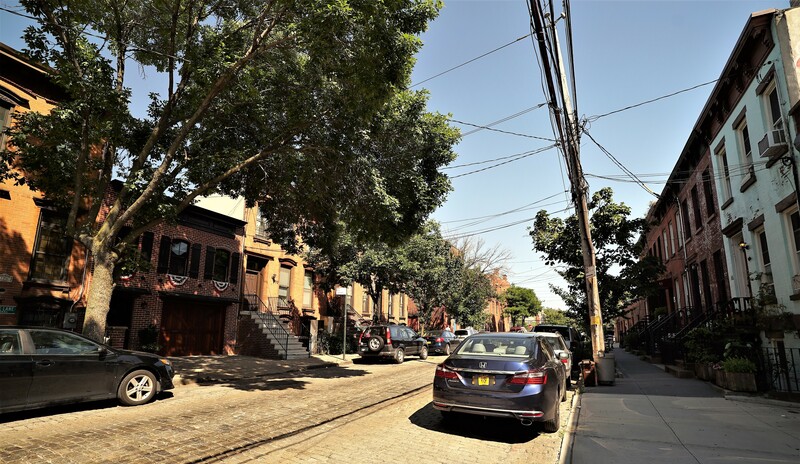 With unparalleled panoramic views of New York Bay, combining a New England maritime feel with an industrial vibe and a small town peaceful way of living, Red Hook is a completely unique Brooklyn gem of a neighborhood. Red Hook is a peninsula between Buttermilk Channel, Gowanus Bay and the Gowanus Canal at the Southern Edge of Downtown Brooklyn. Red Hook is known as South Brooklyn but is actually in Western Brooklyn. The devastating damage caused by Super Storm Sandy is thankfully, all but a distant memory for Red Hook residents and business owners. 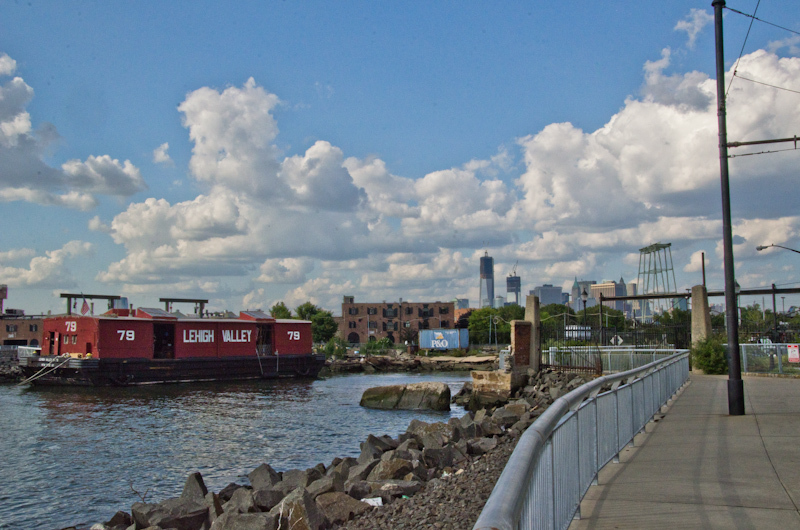 Red Hook has come roaring back better than ever with Real Estate values trending upward. The asking price for a 3 family house with 3,750 square feet, 8 bedrooms, 5+ baths is $1.999M, for a 3,000 square foot, renovated 6 bedroom, 3.5 bath the asking price is $2.350M, for a 9 room and a 7 bedroom, 6.5 bath ultra modern high end home, the asking price is $3.099M. The asking price for a 4 family home with 2,625 square feet, 12 rooms, 8 bedrooms and 4baths is $2.690M. The asking price for a mixed use building with 7 families + 1 store and a garage, 5,694 square feet in size is $3.2M. The asking price for condominium apartments with 1 bedroom, 2 baths with 973 square feet is $1.150M, for a 2 bedroom, 2 bath, 1,492 square feet asking is $1.675M and for a 3 bedroom, 3.5 baths, 2,752 square feet, asking is $3.1M. Subway transportation into Manhattan from Red Hook consists of the F train at Smith & 9th Street accessed by shuttle bus from Ikea. There is a proposal that has been presented by Governor Cuomo and Mayor De Blasio to extend the subway from lower Manhattan to Red Hook using a tunnel to be built, under the East River. The cost of the tunnel is projected to be $2.9B. The Red Hook container terminal would be relocated to Sunset Park, clearing the way for the redevelopment of more than 130 acres of publicly owned waterfront. The potential redevelopment area is larger than Battery Park City. According to Mitchell L. Moss, director of New York University’s Rudin Center for Transportation Policy and Management “the proposal opens up all of Southern Brooklyn”. P.S. 15 The Patrick F. Daly Magnet School of the Arts located at 71 Sullivan Street, serving grades PK – 5. PAVE Elementary School located at 732 Henry Street, serving grades K-4. Red Hook Neighborhood School located at 27 Huntington Street, serving grades PK – 5. Basis Independent Brooklyn School in Red Hook serving grades K-12. The Good Fork located at 391 van Brunt Street, serving Korean cuisine. Fort Defiance located at 365 Van Brunt Street, serving breakfast, lunch and dinner + cocktails. 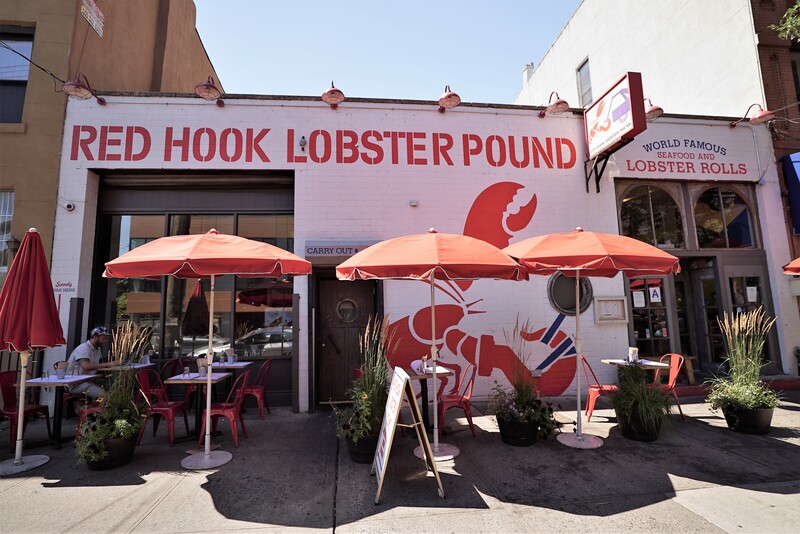 Red Hook Lobster Pound located at 284 Van Brunt Street, great vibe, great drinks and great food. Brooklyn Crab located at 24 Reed Street, triplex seafood shack. Grindhaus located at 275 Van Brunt Street, serving wonderful vegetable compositions. Kevins located at 277 Van Brunt Street, serving great brunch and great seafood. Hometown BBQ located at 454 Van Brunt Street, serving slow cooked meats. Steve’s Authentic Key Lime Pies located at 185 Van Dyke Street. Fresh and super delicious pies. Baked located at 359 van Brunt Street, serving creative takes on cookies, brownies, cakes and breakfast pastries. 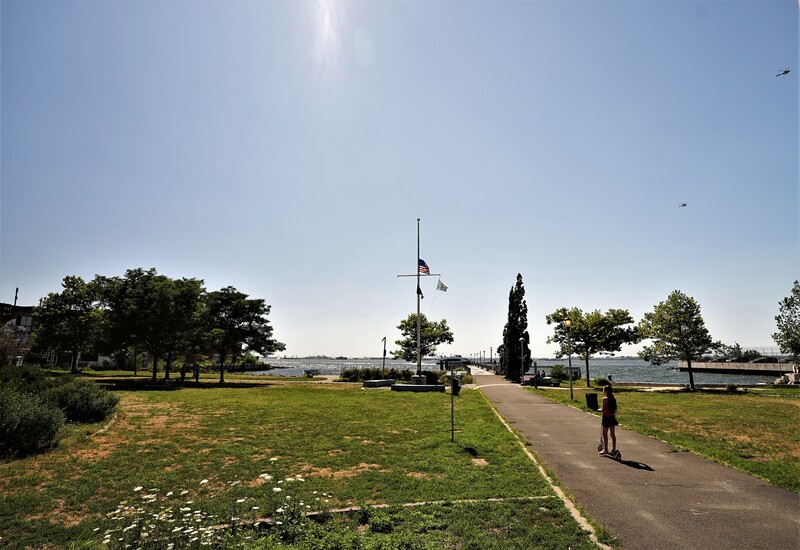 Visit Louis Valentino Jr. Park & Pier located on Ferris Street between Coffey and van Dyke Streets for a spectacular view of the Statue of Liberty, Lower Manhattan, Governor’s Island and Staten Island. Visit The Waterfront Museum and Showboat Barge located on Pier 44 at 290 Conover Street. This wonderful barge is the last remaining wood covered barge and is listed on the National Register of Historic Places. Window shop along Van Brunt Street where you will find upscale boutiques, shops and restaurants. Visit the art galleries Peninsula, Kentler, Hot Wood Arts and Pioneer Works art space. Take a whiskey tour of Van Brunt Stillhouse and Widow Jane which produce small batches of whiskey. Visit Pier Glass Saipua for vintage jewelry. 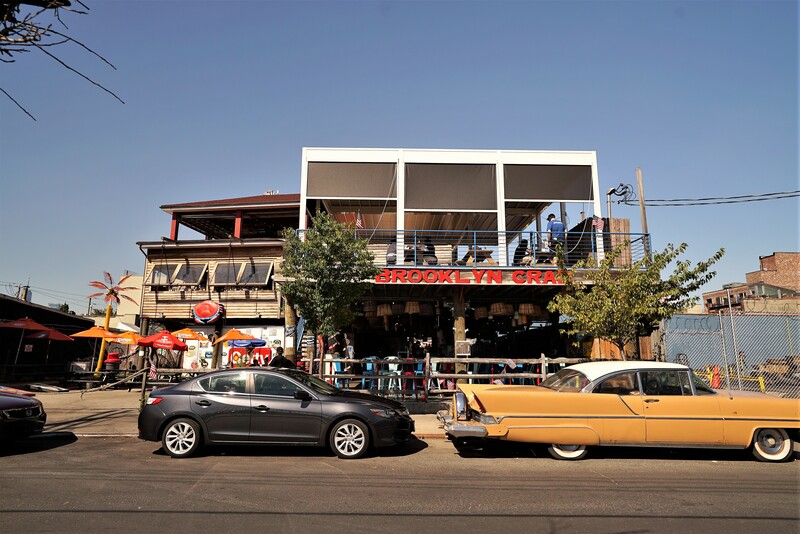 Brooklyn Ice House located at 318 Van Brunt Street, a laid back tavern. Sunny’s Bar located at 253 Conover Street, a knickknack adorned saloon with live music on weekends. Rocky Sullivan’s located at 46 Beard Street, a corner pub with live music. Seaborne located at 228 Van Brunt Street, serving refined cocktails and frozen drinks. If you are interested in selling your property or you know someone who is planning to sell their Brooklyn New York property, whether a single family residential property, an apartment building, a commercial property, mixed use, multi family, co op or condo, vacant land or a development opportunity, call us. You will be very happy that you did.